When people think of the Adirondack Mountains in New York State, the first thing that usually comes to mind is the stunning beauty of the High Peaks region; the challenge of becoming an ADK 46er, world-class skiing at Whiteface Mountain, and the historic town of Lake Placid all draw outdoor enthusiasts from the northeast and beyond to the High Peaks region. But hidden behind the mountains, tucked into some of the most remote valleys on the East Coast, is the 133-mile Northville-Placid Trail (NPT). 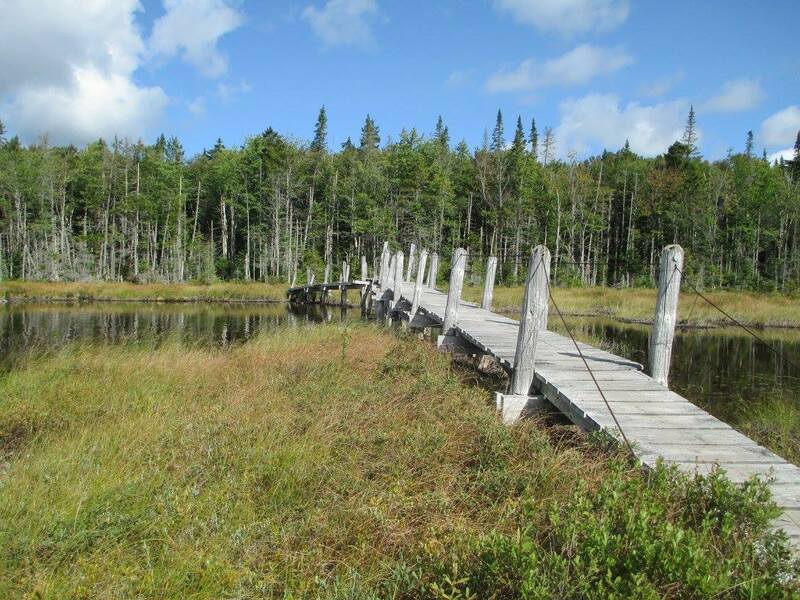 Scenery | Dozens of quiet backcountry lakes and ponds are located along the entire length of the trail. 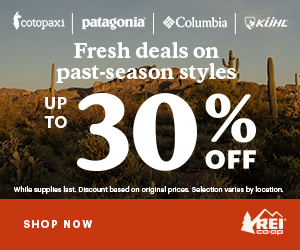 Terrain | Moderate elevation change, with frequent rocky and wet sections. Guidebook and Map | The official guidebook and map provides hikers with most essential on-trail information. Why Hike the Northville-Placid Trail? If expansive mountain views are the sole driving factor that gets you into the woods, then the Northville-Placid Trail may not be for you. However, if you prefer quiet backcountry lakes, moderate rolling terrain, and a sense of solitude and isolation that is increasingly difficult to come by in the backcountry, the NPT is right up your alley. The official southern terminus is in the center of Northville, New York. After a few miles of road-walking through this quiet town, the trail cuts into the woods, allowing hikers to follow another 16 miles of new trail, completed between 2013 and 2015. After this initial stretch, hikers hook up with the original trail, and follow it north until hitting the town of Lake Placid, New York, some 120 miles later. The trail winds between serene lakes and ponds, through the valleys that surround the famous mountains of the Adirondacks. Many of these peaks are visible along the way, their shadows looming over the bodies of water that hikers find themselves camping at each night. No Mountains, No Problem? Think Again. One of the many opportunities for swimming along the trail. The Northville-Placid trail does not come without it’s difficulties. 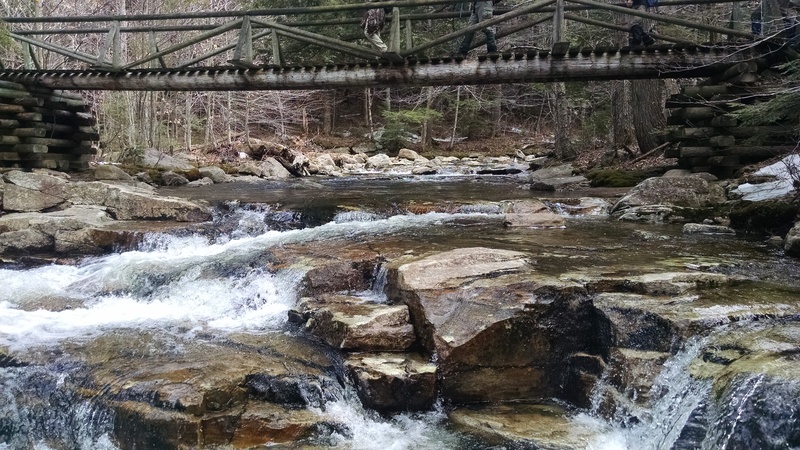 Despite the lack of major elevation change, many other obstacles must be tackled by hikers in order to assure a successful trip into Lake Placid. Due to the NPT’s remoteness, hikers are likely to encounter sections of trail that are not frequently maintained. Blowdowns, large patches of mud, and poorly marked trail are all common on the NPT. In addition, there exists the occasional river that hikers will be required to ford. Though I was able to hike a majority of the trail without the aid of a compass, I would highly recommend that hikers brush up on their navigation skills before heading out. 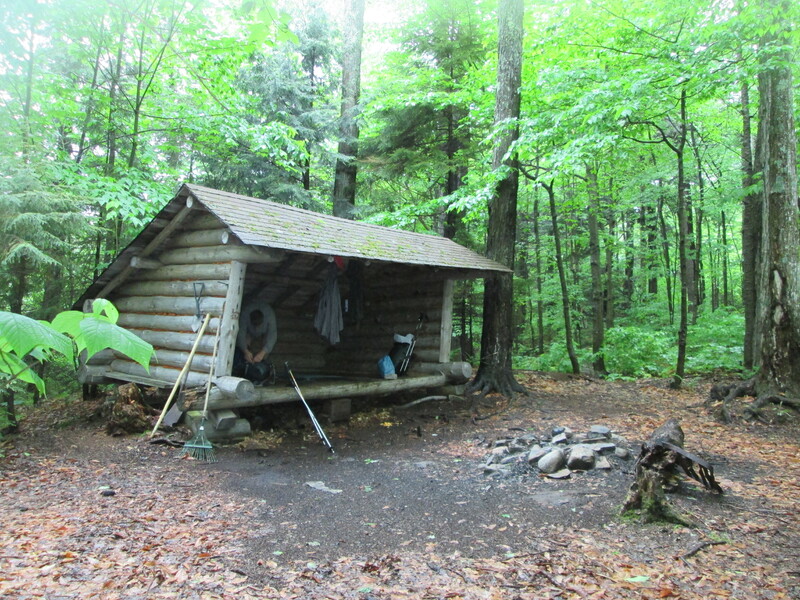 These cozy Adirondack style lean-tos are found along the entire length of the trail, and provide hikers with a great opportunity for camping. One of the best aspects of the Northville-Placid Trail is the picturesque Adirondack lean-tos found along the entire length of the trail. These lean-tos are usually located close to a lake or pond, which provides hikers with plenty of water at camp (it should be noted that lake/pond water is safe to drink with filtration, but may require extra treating if stagnant). At some locations, a lean-to may be located directly on the shore of a lake, such is the case at West Canada Lakes (which happens to be my favorite spot on the whole trail). These lean-tos usually sleep 6-8 people on a first come, first serve basis. Additionally, the NPT provides hikers who prefer to tent or hammocks plenty of opportunities for camping. Stealth camping is allowed anywhere that is not within 150 feet of any road, trail, spring, stream, pond or other body of water. There are many “legal” camping sites right on the trail, which the Department of Environmental Conservation (DEC) denotes with a yellow camping disk nailed to a tree. 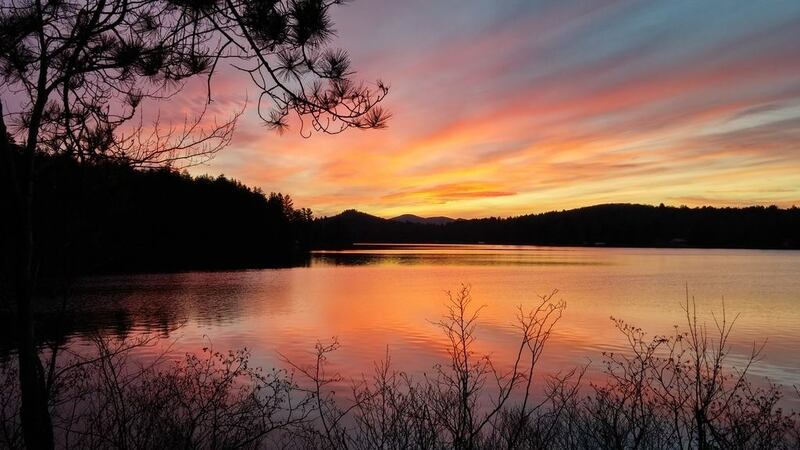 It should be noted that regulations are fairly strict in the Adirondacks (especially near the High Peaks region), so be sure to check up on all camping and hiking regulations before heading out. Getting a mail-drop in Piseco, New York. Some hikers choose to carry the entire trail’s worth of food with them, most hikers plan some form of resupply to keep the packs light. Due to the remote nature of the Adirondacks, there are no grocery stores within a convenient distance from the trail, which means hikers will need to plan a mail drop. At the 40th mile (when hiking north), the NPT passes through the tiny town of Piseco, New York, and runs right by the town’s post office. This provides hikers an easy place to send a mail-drop, and the post office workers are used to getting general delivery packages for hikers. 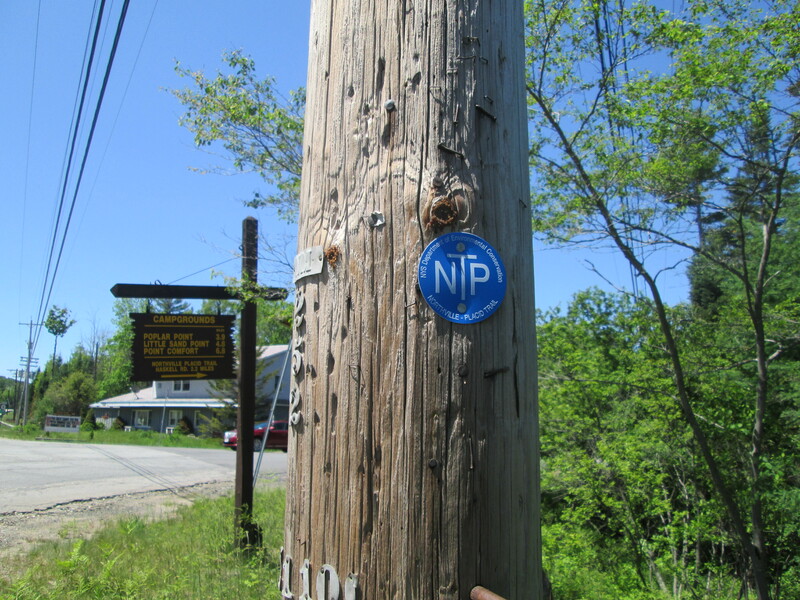 The next viable option for a mail drop is at Mile 86 when the NPT crosses NY 28/30, which leads west into the small town of Blue Mountain Lake. The town of Long Lake can be reached by following NY 28N/Newcomb Road west at Mile 100. After this crossing, there is really no other chance to get more supplies before reaching the end of the trail at Lake Placid. 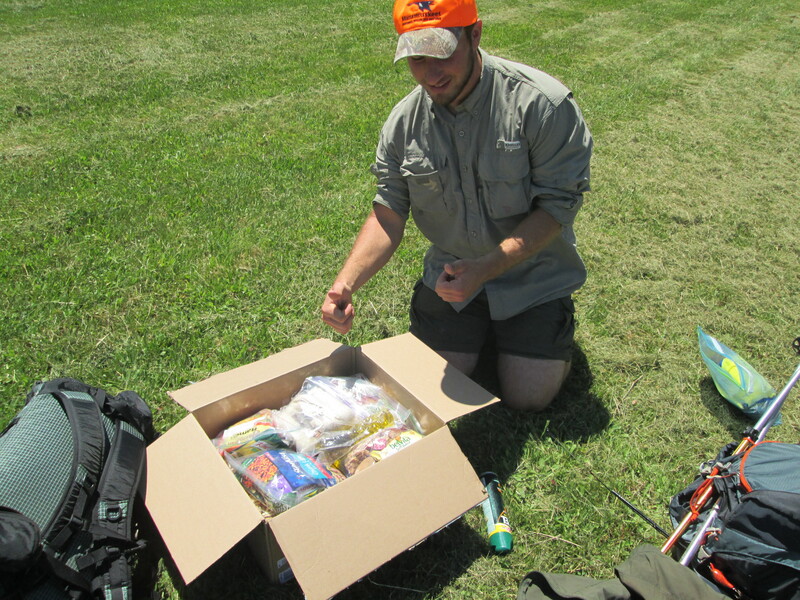 Rather than relying on mail-drops, some NPT hikers will set up food caches for their resupply. With a little extra planning, these can be a safe and reliable method for resupply. All of the trailheads along the NPT are heavily wooded, so finding a spot to hide a cache would not be difficult. Just make sure you don’t forget where the cache’s are hidden, and make sure they are animal proof! The Northville-Placid Trail doesn’t even come close to being above tree-line, so the weather is similar to other low-elevation trails on the East Coast. Rain is incredibly common in the Adirondacks, so it would be foolish to hike without rain gear and proper waterproofing. Temperatures can fluctuate greatly, so I highly advise packing warm layers, even when hiking during the summer. When I thru-hiked in June, temperatures were usually in the 70’s during the day, but dropped down into the 30’s at night on more than one occasion. Due to the low elevation of the NPT, there are many sections of trail that run through swamp-land. This means that hikers must be prepared to deal with bugs, especially when hiking at the beginning of the summer. (note: this list does not cover all the gear required for a thru-hike of the NPT, and should not be substituted for thorough research on the necessary gear needed for a successful hike). One natural advantage that the Northville-Placid Trail offers, is the availability of water along the trail. In addition to the backcountry lakes and ponds that hikers will pass every day, there is an abundance of smaller rivers and streams located along the trail. I cannot guarantee that water will be plentiful along the entire trail, I will say that it is one of the wettest trails I have ever hiked. I recommend doing some research into water conditions shortly before heading out on the NPT, and always treating your water to avoid the chance of acquiring giardia and/or other water-borne illnesses. These blue DEC disks mark the entire length of the trail. The Northville-Placid Trail is marked throughout it’s entirety by blue DEC disks (see above). There is some variety of what will appear on the disks (depending on how old the relevant section of trail is) but so long as hikers follow the blue disks, they will stay on the trail. It should be noted that the DEC marks all trails in the Adirondacks with disks in a variety of colors, the most common colors being red, yellow, and blue (this stands in opposition to the “blazing” technique found along most trails outside of New York). 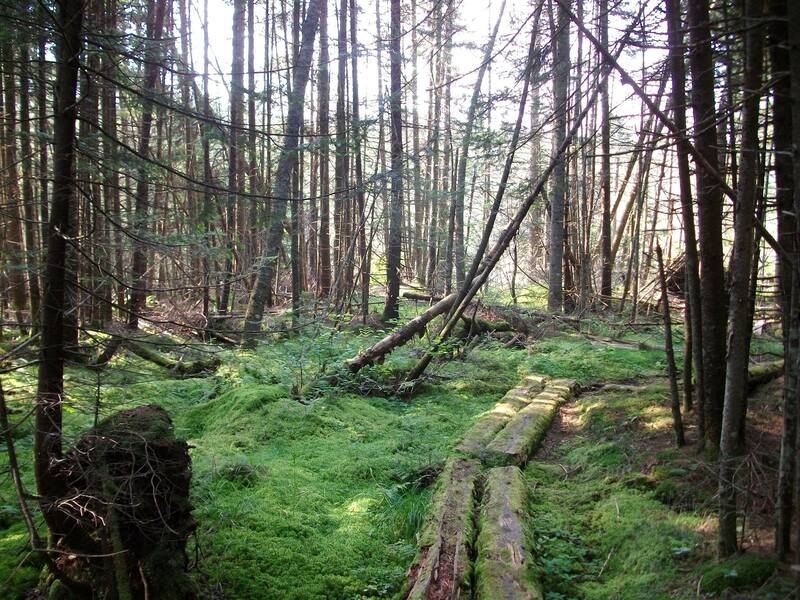 Overall, the trail is well-marked, and does not require any bushwhacking or true navigation. However, due to the NPT’s remoteness, there are a few sections that require a bit of extra attention to stay on the trail. All hikers should carry and know how to use a map and compass. There is no cell service along the majority of the trail, so relying on digital maps and communication would be ill-advised. The Southern Terminus is located on Bridge Street in Northville, New York. From Interstate 87, take Exit 15 in Saratoga Springs, New York, and then take NY-50 and US-9 to NY-29. Once you reach the town of Vail Mills, head north on NY-30 until you reach the town of Northville. Once in Northville, take a right onto Bridge Street and follow it until the trailhead is reached. Now that you’ve got the basic run-down on the Northville-Placid Trail, you might be ready to pack your gear and hit the trail. Not so fast! 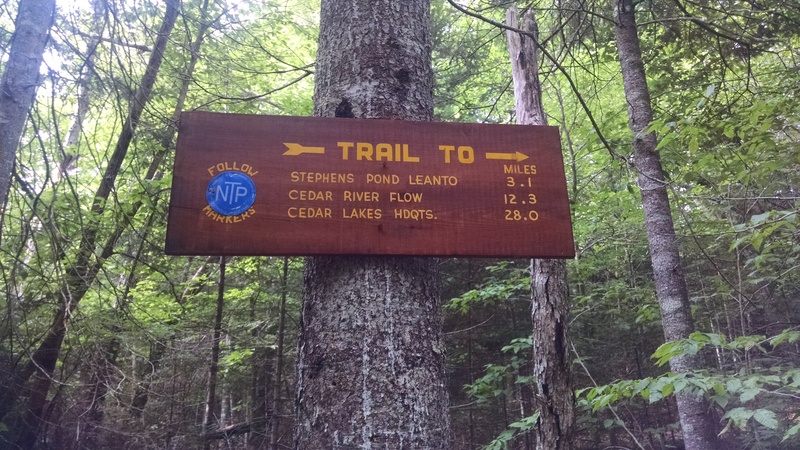 Check out the links below for even more information on the NPT, and feel free to reach out to the Northville-Placid Trail chapter of the ADK with any questions! Nice overview article on the NPT. My wife and I thru hiked the trail in September, 2016. Being a 46er, I found the NPT to be very different from the High Peaks region. The remoteness and solitude of this trail adds to its beauty. My advise, don’t overpack, keep the weight down. We did two food drops and had too much. It worked out quite well to hike 11-12 miles a day, taking us 13 days to complete. If you are a ADK enthusiast, the NPT is a must do. Thanks for the info! I live in the Adirondacks and this trail seems to be lesser traveled/written about than the high peaks. I am hoping to get out and hike it this year, and will definitely save your article for reference. It should be noted that food caches, or caches of any kind, are illegal in the ADKs. for me…not a race. I really soaked it in. I have lived in California now for well over twenty years. It was my first camping trek back in the Adirondacks since the summer of 1989! I really loved it. I got caught in a massive downpour of ‘biblical proportions’ from Cedar lakes down to the “Cedar River Flow / Carry lean-to” and the trail got soft, soaked, and I had to detour frequently due to the flooding. From Duck Hole to Moose Pond was the worse section for me. The rain again came and the 3.9 miles took most of the day with the wind, rain, mud, flooding, more rain, lightening, thunder, wind. It was such a relief when I saw that “Moose Pond” lean to!!!! The black flies were not too bad, but the mosquitoes liked my fresh “california skin” and were bothersome in some areas (we have them here in California, but they are not as ferocious as they are back in the ol north woods!). Not one tick found or seen btw! Many bridges were out, under water, washed out over the smaller streams and riverlets / feeders…….after that one storm, I had to bushwhack in many cases up or down a stream to find a ford. I crossed an active beaver dam just before Piseco and when I got over, I noticed the re-route! I laughed so hard at that! It was pretty harrowing crossing that dam with a full pack on!! Overall, it was a trip that I will take with me to my last breath. Not a “life or death” challenge of a hike but the solitude, the quiet and just a final crowning achievement to the mountains I grew up with and love so very much. Thanks for the article! I would like to do this hike this summer.